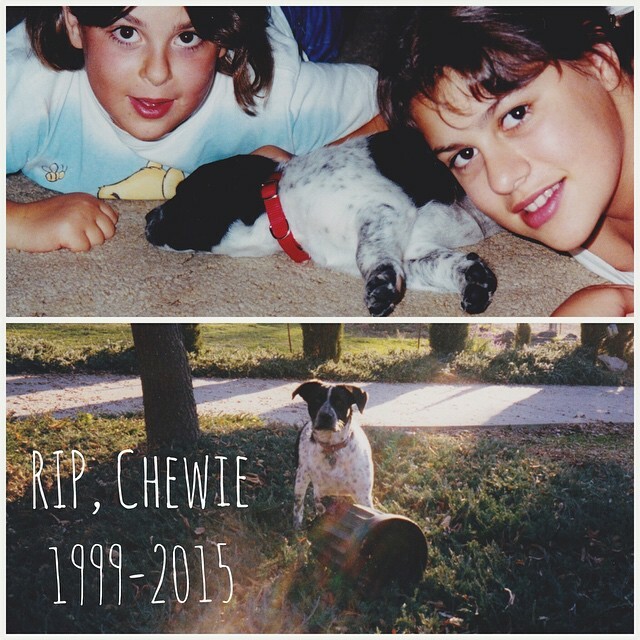 Today my childhood dog, Chewie past away. My parents made the decision to put him to sleep after discovering his body was riddled with tumors. He had been slowly suffering the last few months, and these past couple weeks his health drastically deteriorated to the point where he was vomiting and choking this morning; x-rays revealed the tumors, so my parents decided it was best to end his suffering. I’ll miss him running up the driveway with us every time we’d come to visit. I’ll miss him barking at us to get his treat because he didn’t run out the gate. And I’ll miss watching him run with my two dogs. One day I’ll see him again at the Rainbow Bridge.